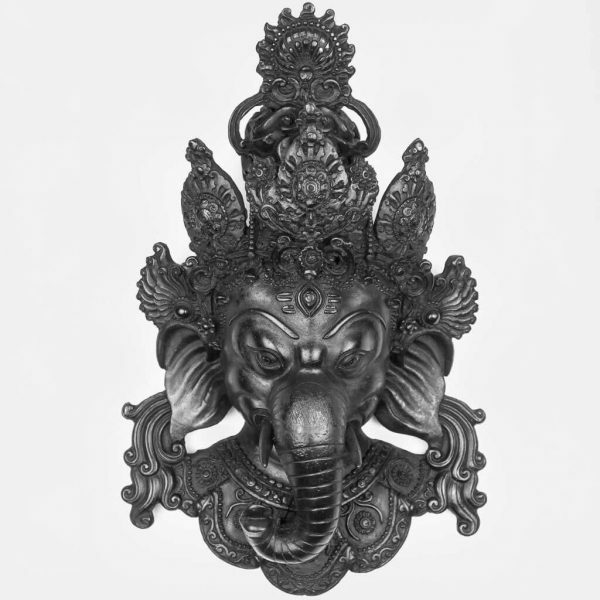 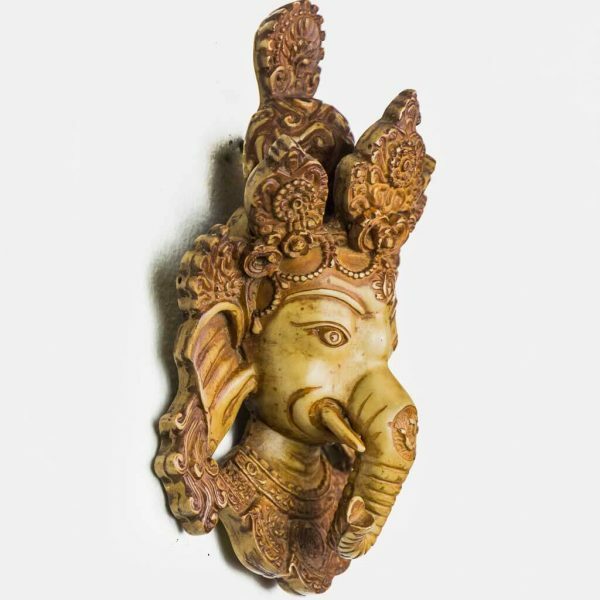 Elephant headed god, Lord Ganesh, is the god of beginnings. 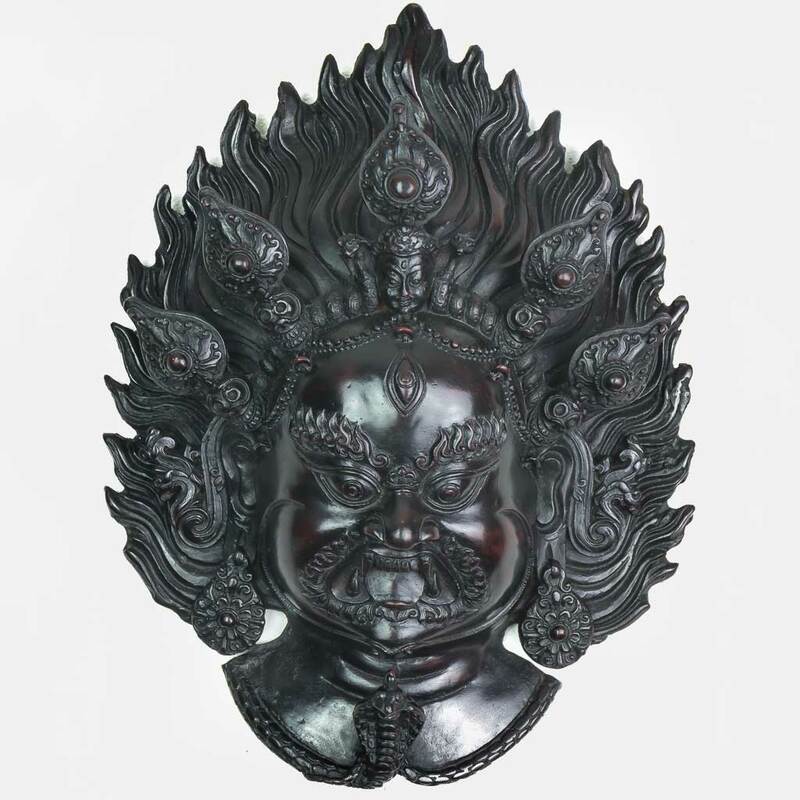 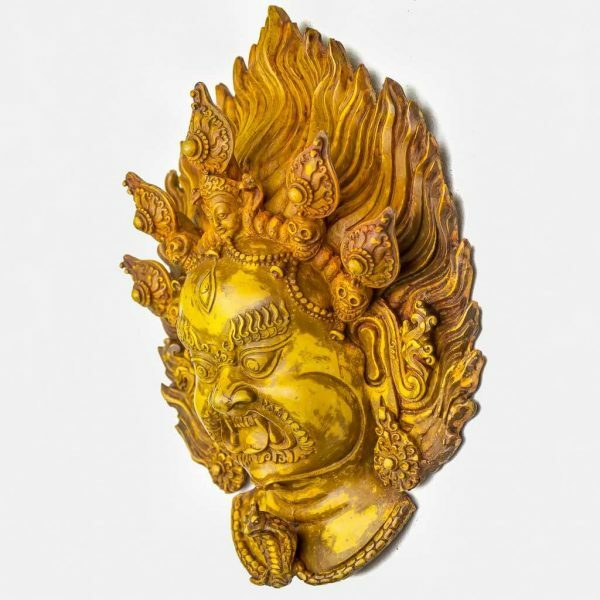 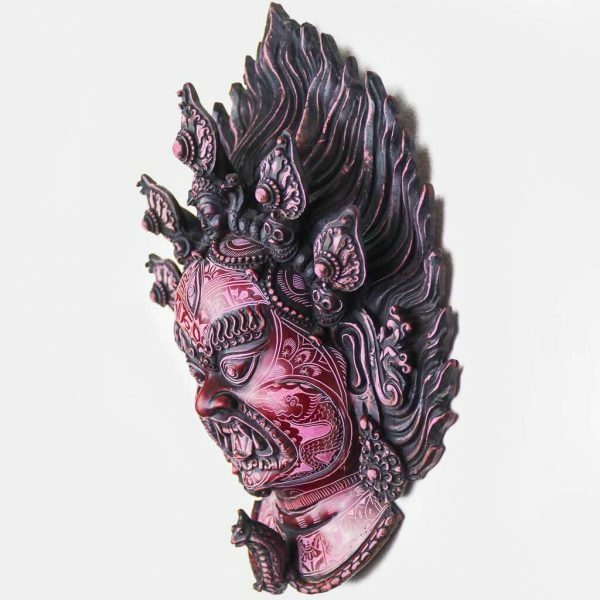 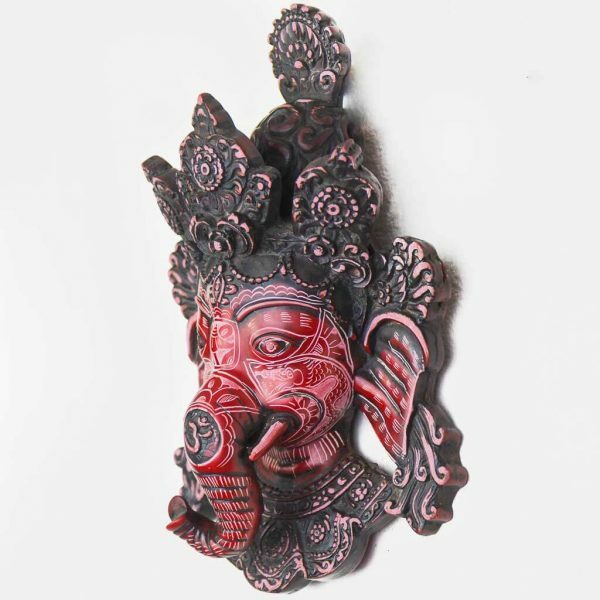 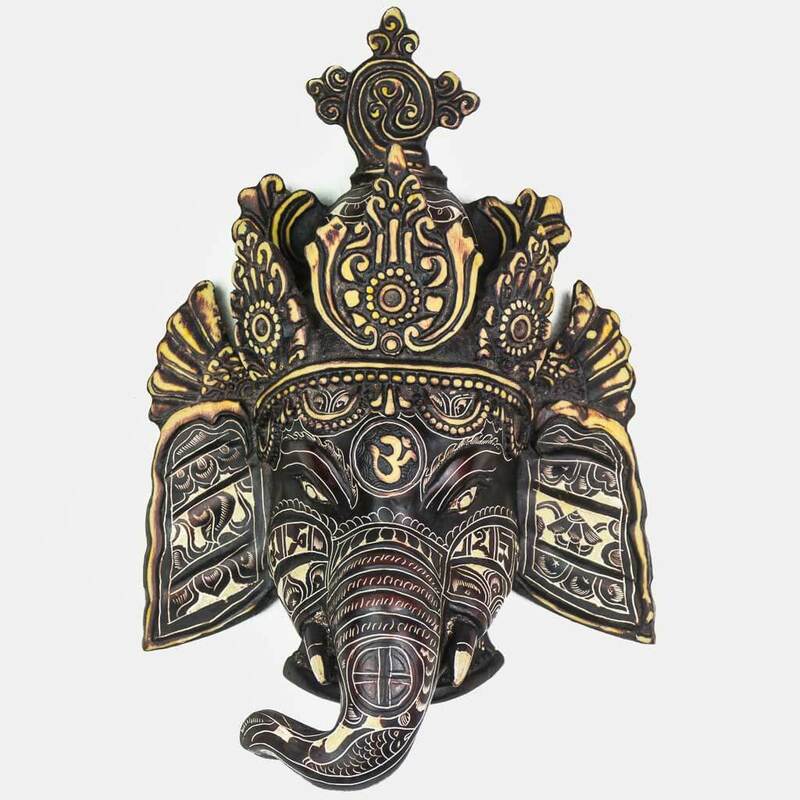 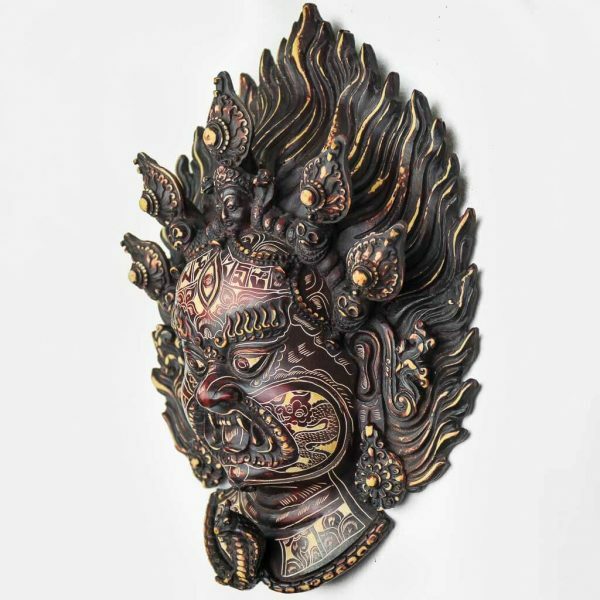 Handmade by traditional method, it absolutely is a masterpiece as the hand carvings with auspicious symbols in it shows the convergence of Buddhism and Hinduism. 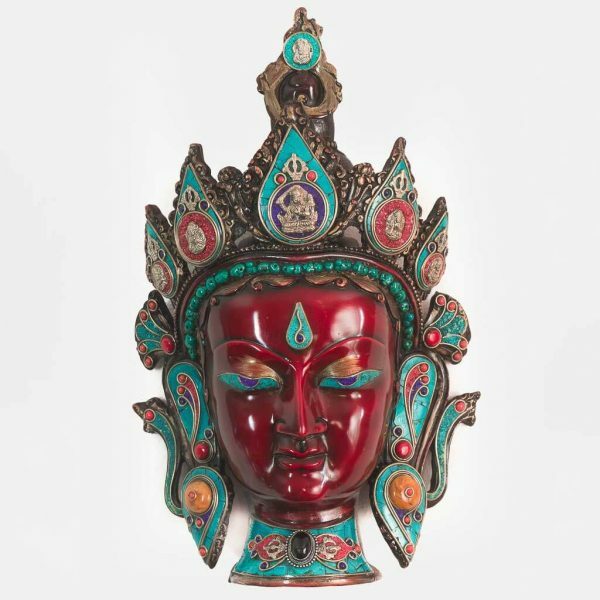 All the beauties of Nepal come together. This decorative plate has Mt. 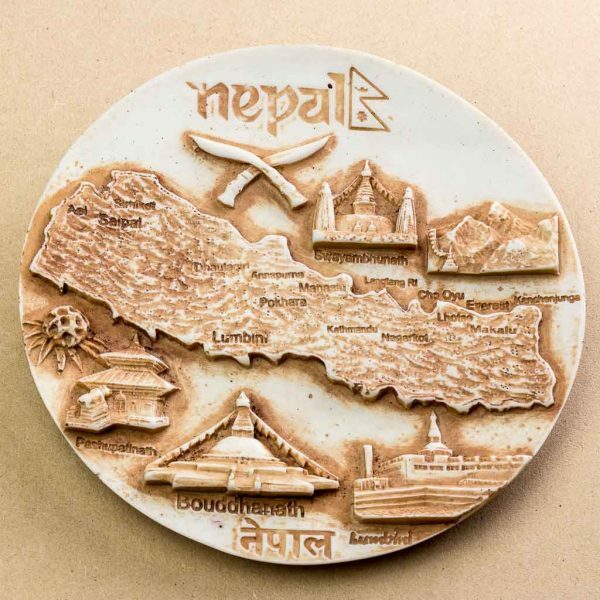 Everest, Lumbini, Pashupatinath, Khukuri, Flags and many other renowned landmarks embossed in it. 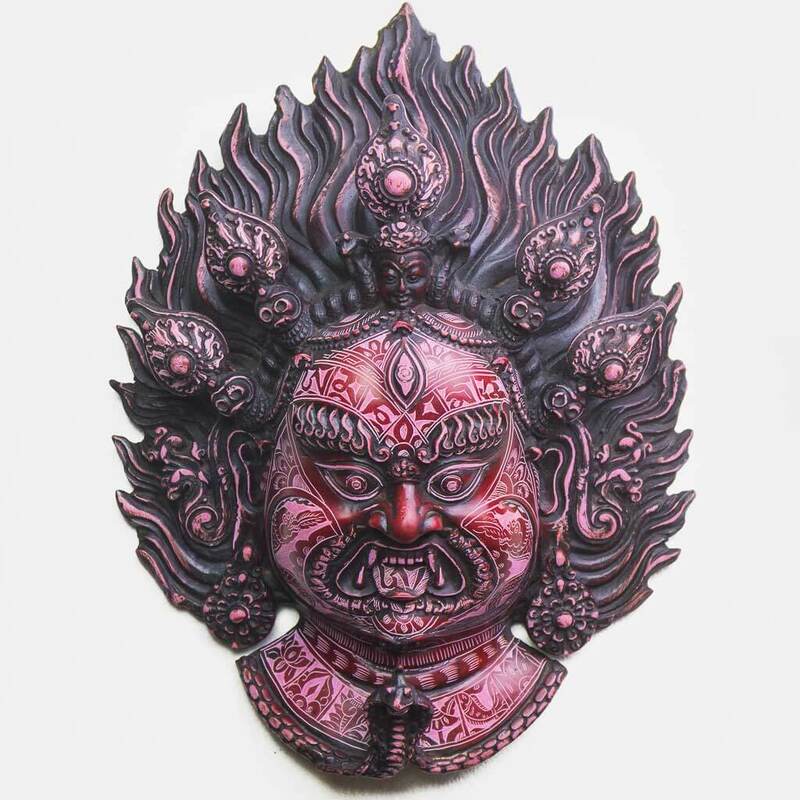 Nice to hang in the wall or gift as a souvenir. The king of the heaven Lord Indra, is worshiped both in Hinduism and Buddhism. 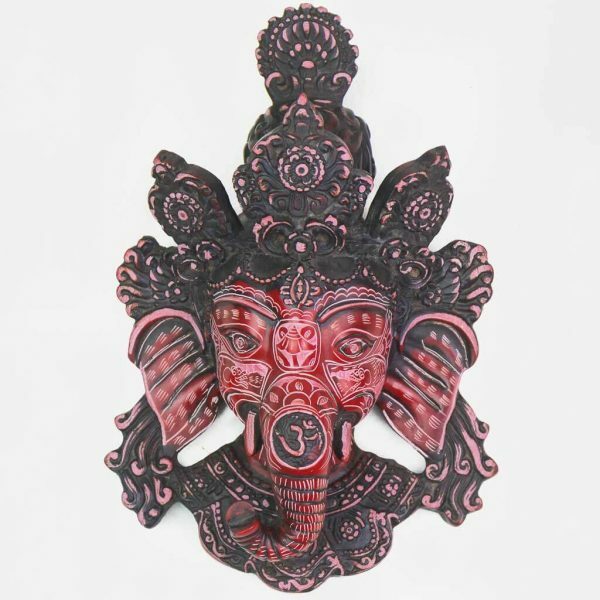 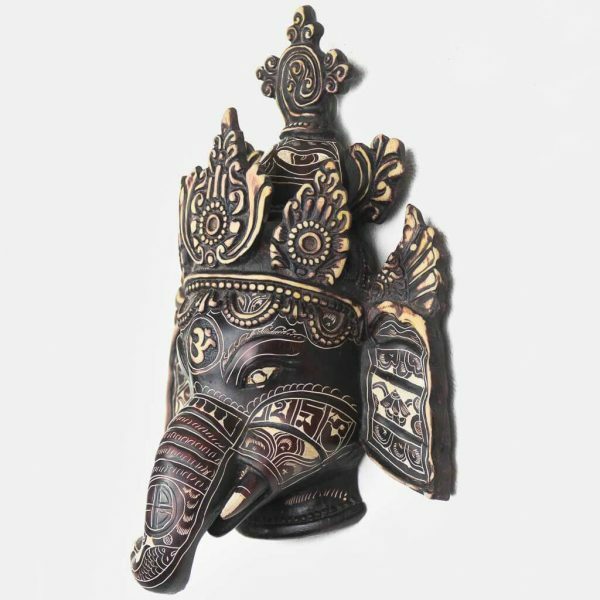 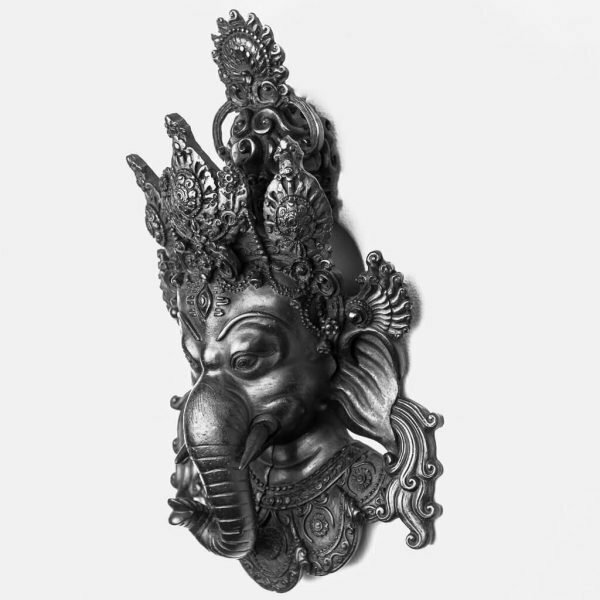 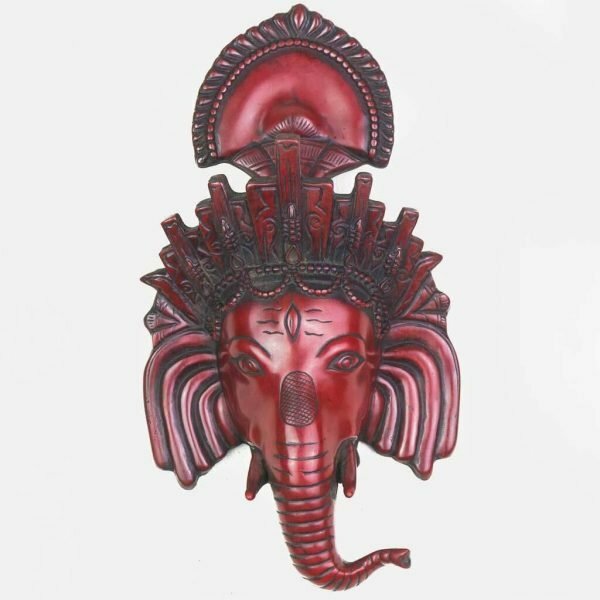 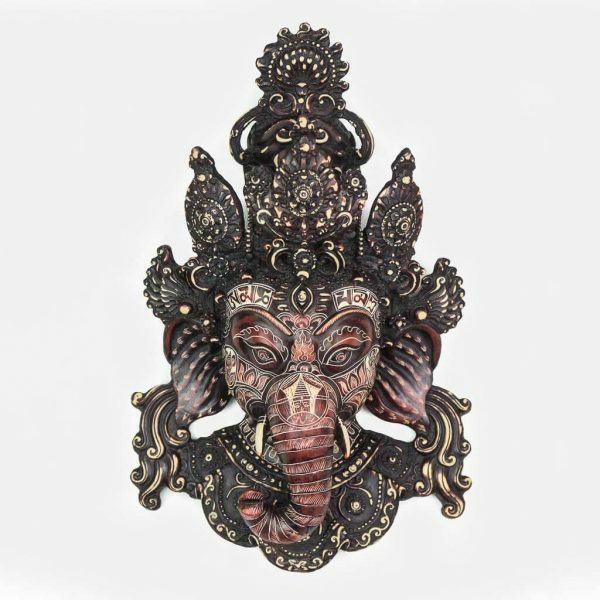 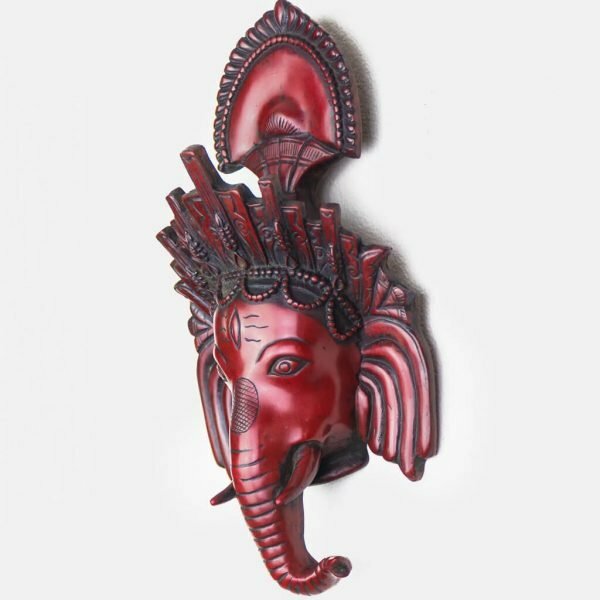 Beautifully carved with coral, turquoise and different ornaments and 5 auspicious symbols in its crown, this wall decor is one of its kind and rare to find. Elephant headed god, Lord Ganesh, is the god of beginnings. 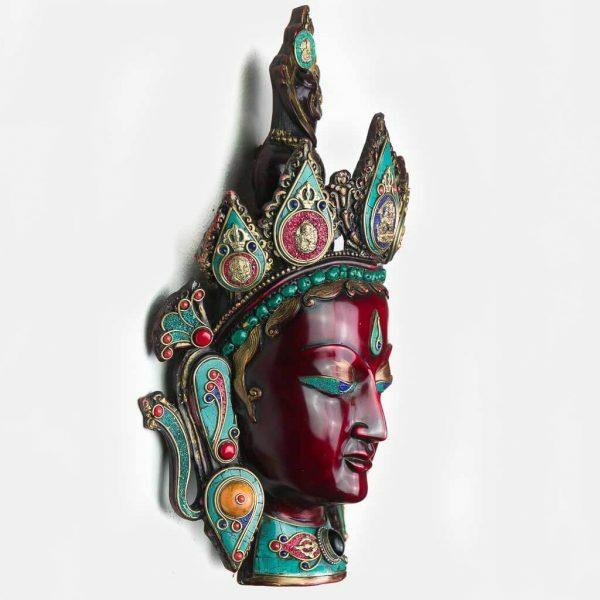 Handmade by traditional method, this art piece certainly adds meaningfulness and ambiance to your home. 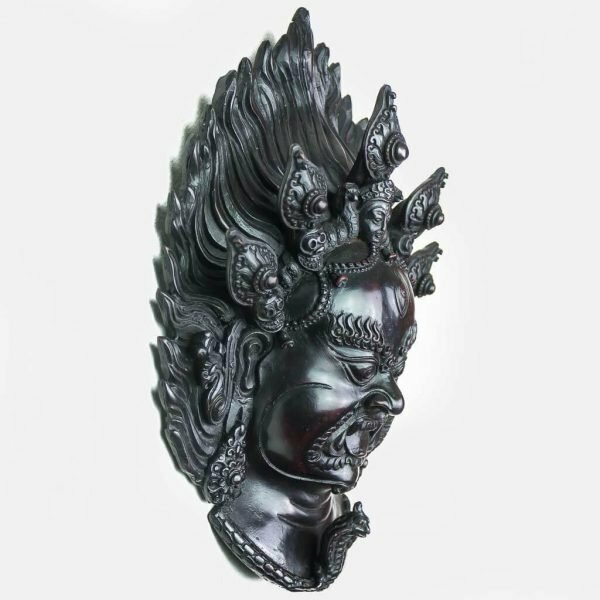 Bhairav is a fierce manifestation of Shiva and is worshipped in South Asian Regions. 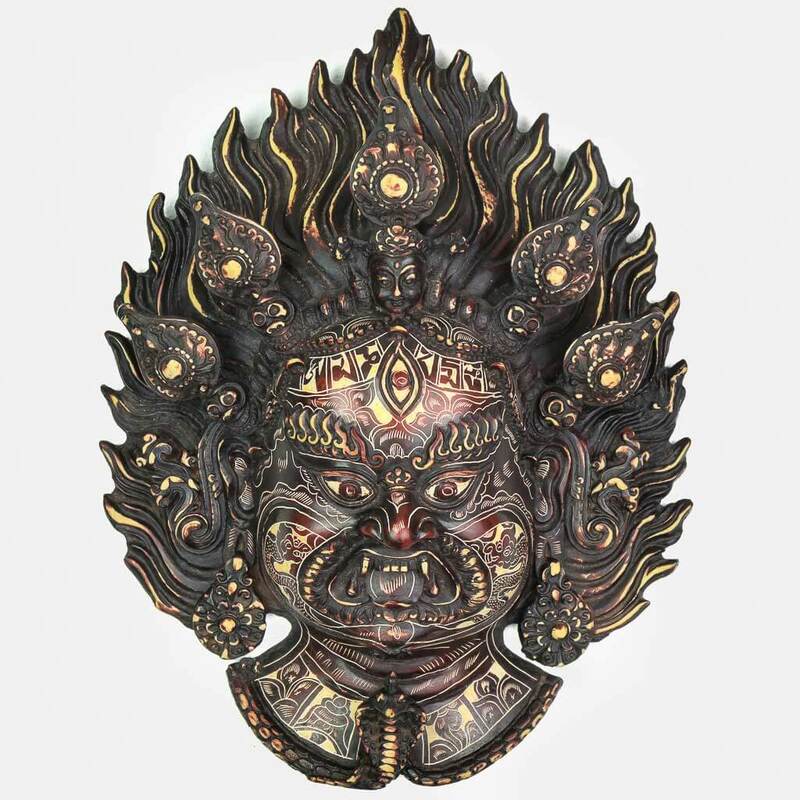 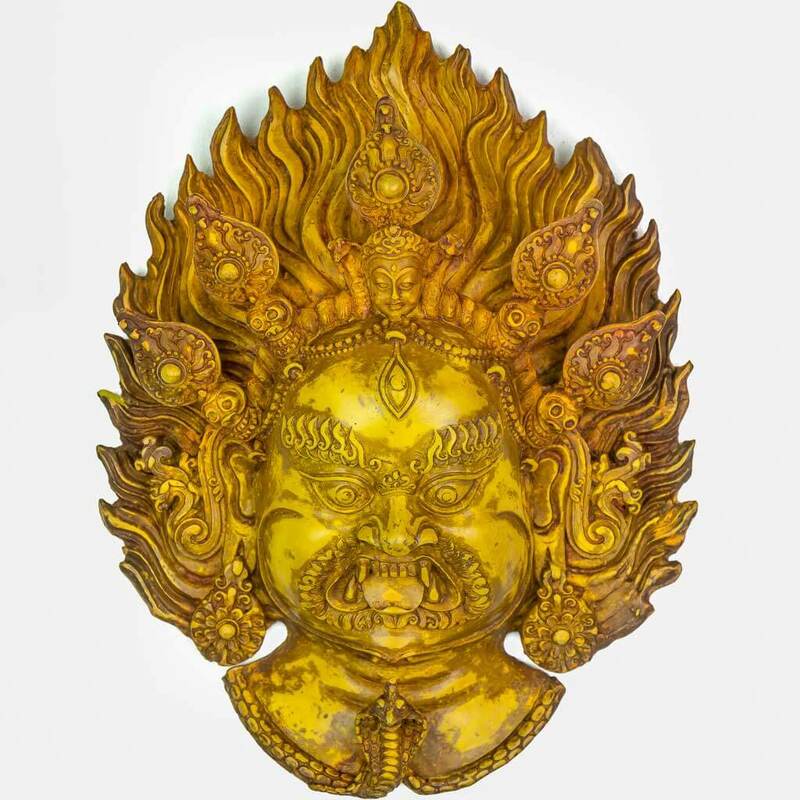 He is also known to be the protector as he guards the eight directions of the universe. Handcrafted with resin, this art piece has 5 crowns, a serpent and a third eye related to Lord Shiva.